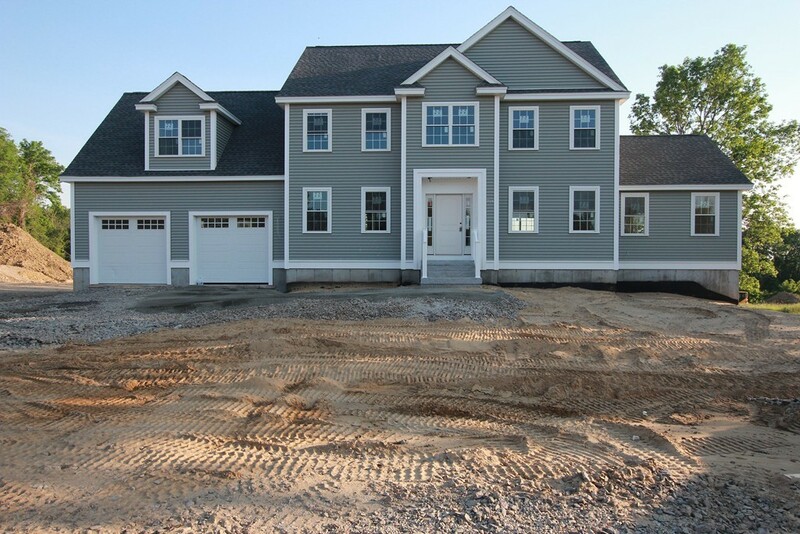 **WEST NEWBURY, MA NEW TO THE MARKET** 2017 NEW CONSTRUCTION LOCATION - LOCATION - BOASTING OVER 3,000 S.F.+- OF LIVING AREA / SPECTACULAR VIEWS: Spacious 8 Room, 4 Bedroom, 2 Bath Colonial with Attached 2 Car Garage located just minutes from Downtown Newburyport. Special Features Include: Open Concept Floor Plan / Large Eat-in Kitchen with Center Island - Granite & Stainless Appliances open to a Spacious Family Room with Vaulted Ceiling - Recessed Lighting & Gas Fireplace / Oversized 26 x 22 Master Bedroom with Generous Master Bath / Gleaming Hardwood & Tile Floors / Walk-out unfinished basement / Energy Star Rated Construction & Systems / Professionally Landscaped. Easy Access to Routes 95 & 495, the Commuter Bus & Rail, Boston and 3 Major Airports.